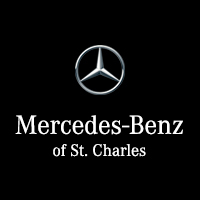 Bring your Mercedes-Benz vehicle or smart car to Mercedes-Benz of St. Charles for your next tune up. Our Mercedes-Benz service center performs routine maintenance and repairs, such as tire rotation and brake service on all new and pre-owned Mercedes-Benz vehicles, as well as all smart car models. Even though we do not sell smart cars anymore, we still offer service and maintenance for them. Mercedes-Benz Care and the Mercedes-Benz Experience is about more than just extraordinary experiences behind the wheel of a 2018 Mercedes-Benz GLE or Mercedes-Benz C-Class. Mercedes-Benz Care is devoted to the lasting satisfaction of Mercedes-Benz owners and the long-term upkeep of their automobiles. Mercedes-Benz Care is your source for information about service, parts, maintenance, limited warranties, Client Care and more. You’ll never have to wonder if you’re spending too much on the car service you need with our Mercedes-Benz service specials! Contact our Mercedes-Benz dealership near Elgin, IL today to schedule your next service appointment! Schedule your Mercedes-Benz service appointment online or stop by our St. Charles Mercedes-Benz dealer today and take advantage of our service specials. The following are some of the services we offer.